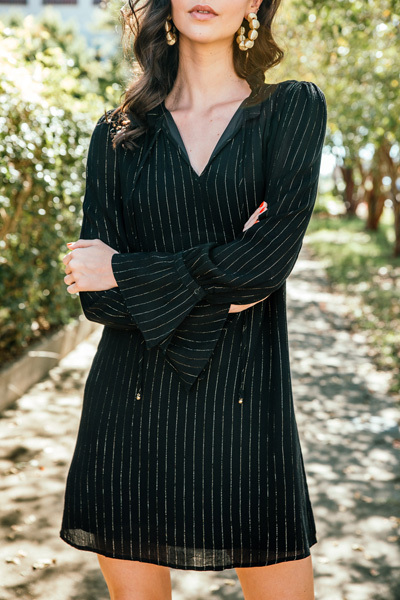 A woven black dress with a fun pop of metallic threading- perfect for the holiday season! Features a shift style fit, a ruffled tie neck, and bell sleeves with a button wrist. Material is 100% rayon, and dress is full lined. Length measures approximately: S=34" M= 35" L= 36"